Customer service for Scott Logistics Corp. is priority #1. Our business was built on customer service at all levels. From the time we receive the order, through the shipping process, to the accounting functions, we are focused on high level dedicated service to both our customers and carriers. Scott Logistics Corp. is an environmentally conscious company and we are committed to using carriers that are Smartway Certified. As part of our dedication to our customers and carriers, we have 24/7 customer care. We have staff available anytime to answer your questions and provide the service expected. There is no need to leave messages or choose options; we have no automated attendants, only dedicated personnel. Each customer is assigned a designated Account Manager and a corresponding team of support personnel to manage the transportation needs of our customers from shipping to accounting. Customer service is our top priority. Our corporate offices are located in Georgia, and we have 9 branch locations throughout the country. We also ship internationally into Canada and Mexico to accommodate our customers’ needs. Our 10,000+ qualified carriers are available to our customer service teams to cover loads moving all over the nation. We offer a variety of transportation modes to our customers including, but not limited to truckload, less than truckload (L.T.L. ), and intermodal/drayage services. We have staff specializing in each mode to provide the best service at the most competitive price and provide information for easier transportation decisions. 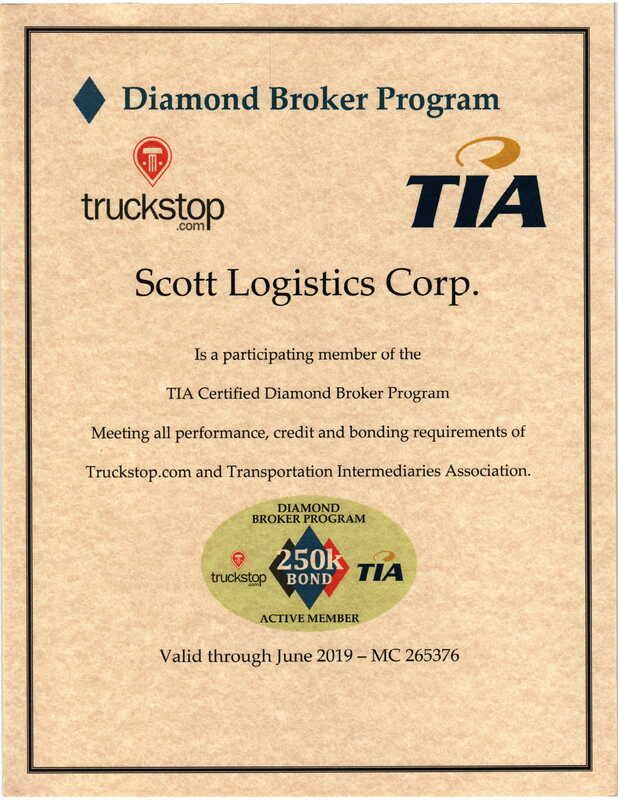 Download the Scott Logistics's new customer packet today. This message will be sent to the appropriate customer service representative, please fill out this e-mail form and send.